The University of Hartford, or UHart, is known for its diversity and wide varieties of study. However, UHart has recently been the home to a very controversial issue. 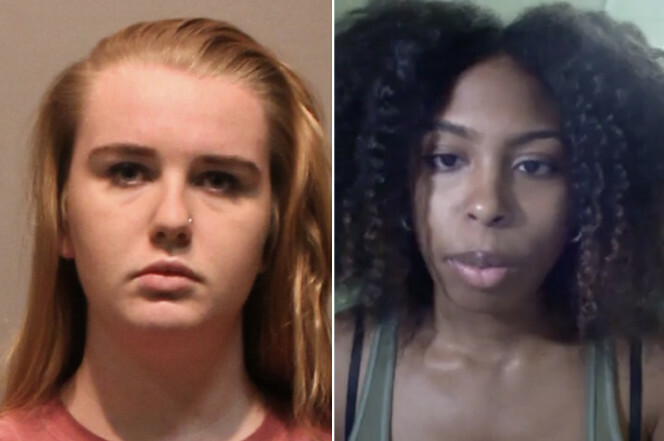 Chennel Rowe, a freshman at UHart from New York City, was living with “The Roommate from Hell”. Chennel Rowe and Brianna Brochu were paired to be roommates through their freshman year of college. Rowe was becoming increasingly sick about a month and a half in living with Brochu, and she claimed to have felt unwelcome in her own room. Rowe’s sickness got so severe that she was unable to speak or sleep due to extreme pain in her throat. Her school’s medical services recommended she see an Ear, Nose, and Throat doctor because her illness had gotten too serious. Rowe was unaware of what was causing her sickness but she would soon find out. The day that Rowe began to move her belongings out of her current room into her new one, Brochu asked for confirmation of her room change and it was granted. Immediately after Brochu was seen texting on her phone and by the time Chennel got downstairs, her neighbor informed her of a post made by Brochu. On Brochu’s Instagram read “Finally did it ya girl got rid of her roommate! After 1½ months of spitting in her coconut oil, putting moldy clam dip in her lotions, rubbing used tampons [on] her backpack, putting her toothbrush where the sun doesn’t shine and so much more I can finally say goodbye to Jamaican Barbie”. It seems that Brochu had prejudice feelings towards Rowe and this caused to her to discriminate against her. Brochu had no logical reasons to dislike her former roommate, she even began to mistreat her before getting to know her. In this case we see that Brochu made racial slurs towards Rowe such as Jamaican Barbie”, and contaminated her personal belongings. Prejudice is a fixed opinion that is not based on reason or actual experience.-It is quite evident that Brochu had prior negative judgements associated with black people and individualized those on Rowe. Those judgments are called prejudices. Evidence of this evidence is shown in a live video posted by Chennel Rowe. Brochu’s prejudice in regards to Rowe also caused her to display unwarranted negative behaviors towards her, otherwise known as discrimination. Although these are broad terms, Brochu’s behavior can be explained …When breaking down the idea of Prejudice, it is easy to get a better understanding of our dual attitude system. Our dual attitude system can come in the form of implicitness and explicitness. Implicit prejudice refers to automatic attitudes towards the same target. This basically means that you know something or feel a certain way about something without actually knowing that you know or feel that way. If she had shown implicit behaviors, she would have maybe expressed those feelings in a more subtle manor being that she was unaware of the subconsciously. In this case maybe the outcome would have varied. Nonetheless, explicit prejudice refers to conscious attitudes towards the same target. In this case Brochu expresses explicit prejudice. This is seen through her direct negative feelings of wanting to find a way to get her out of the room. She was aware of her attitude when considering Rowe, and these attitudes were neither pleasant nor friendly. This case went viral after Chennel Rowe posted a live video on her Facebook account describing how the situation unfolded. She gives much more detail as to what was done to her and how she was being treated generally by her roommate. Rowe also touched on the fact that she had no control on how the issue played out. She decided to use her social media outlet as a way to bring more attention to the issue. This actually sped up the investigation process and Brochu was charged with misdemeanor criminal mischief and breach of peace. The NAACP as well as Rowe and her lawyers want to push for hate crime charges, so trial is continued to December 18th, 2017. Click here to watch Chennel Rowe’s live video!